A couple of days ago, I got a very sad message. It read: “We have decided that it is time for LADY to be put down. Vet coming on saturday. Will let you knw the time if you would like to be here.” It was from my dad. Lady is our cat.Lady has had a very long life, for a cat. We got her when I was six. I remember coming home with a friend from school, the day we picked her up. 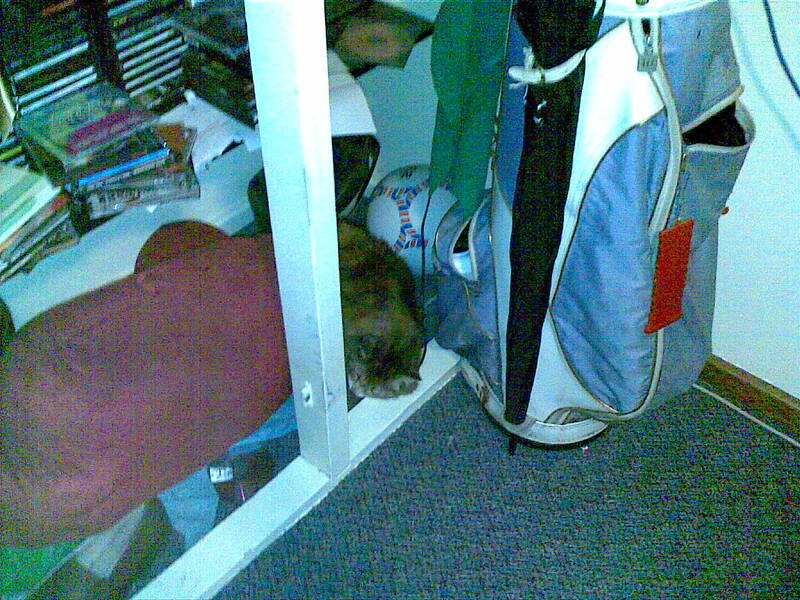 I remember she was so scared, she hid under the couch. It probably didn’t help that I was laying on the ground, arm stretched as far as I could to try to get her. Over the years, she has put up with a lot of stuff from me. 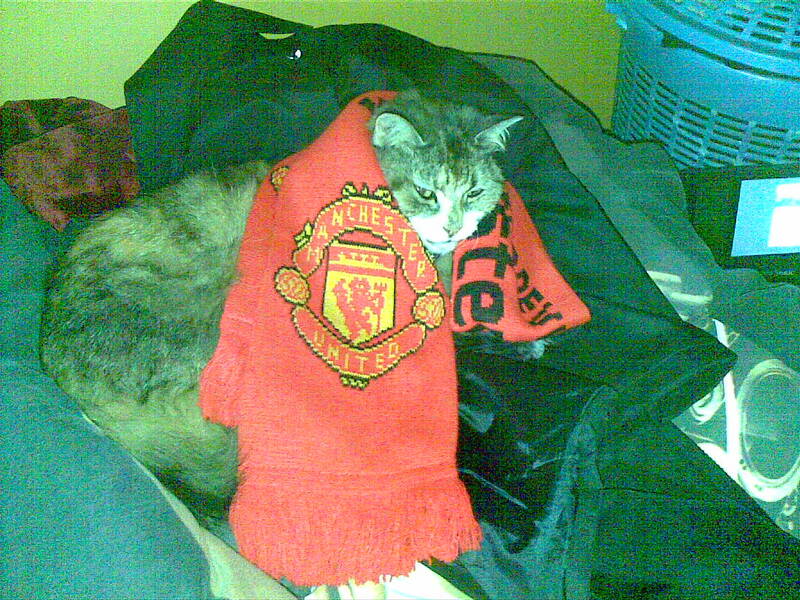 Dressing her up in a Manchester United scarf for example. And there are times when I know she was not happy with me. But over the years, as we both matured, we learnt to tolerate each other. Or at least, she learnt to tolerate me, and I learnt to love her. She was a fussy old cat. She would change tastes once every couple of weeks. Sometimes she’d want Kangaroo meat, and would gobble it up like there was no tomorrow, and then the next day she wouldn’t touch it. We’d then try some Whiskers canned mix, and she would like that, and then a little while later, we’d need to try something else again. We’d almost always need three or four different type of cat food available for her. We thought that this day was coming for a long time. 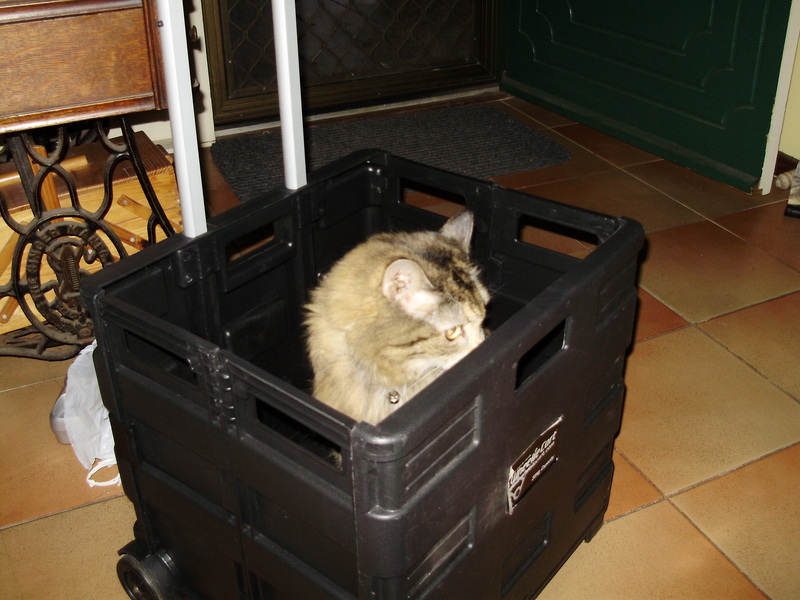 She’d get sick, but whenever we would bring the travel cage out, she’d remarkably get better. When it started getting too stressful to get her into the cat cage, we found a vet that did house calls. Again, whenever she would get sick and we would call the vet, she would remarkably get better. 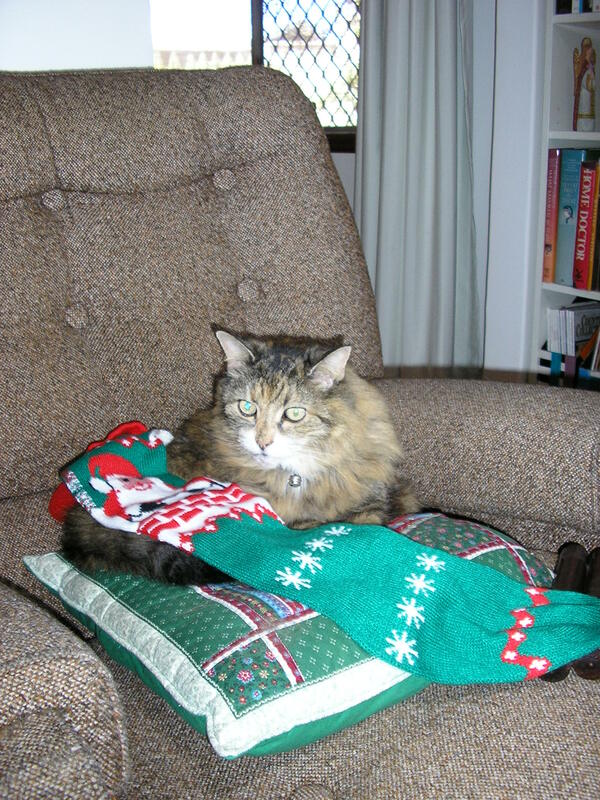 There was one time when she was quite sick, and we had to give her some Valium. It was rather hilarious (but sad at the same time) to see her walking as if she was drunk. She didn’t stay on the Valium for long, and still got better. She was never much of an outdoors cat after we moved house. It was probably in part due to the cat that lived next door, and the dog that would often come round to our place. 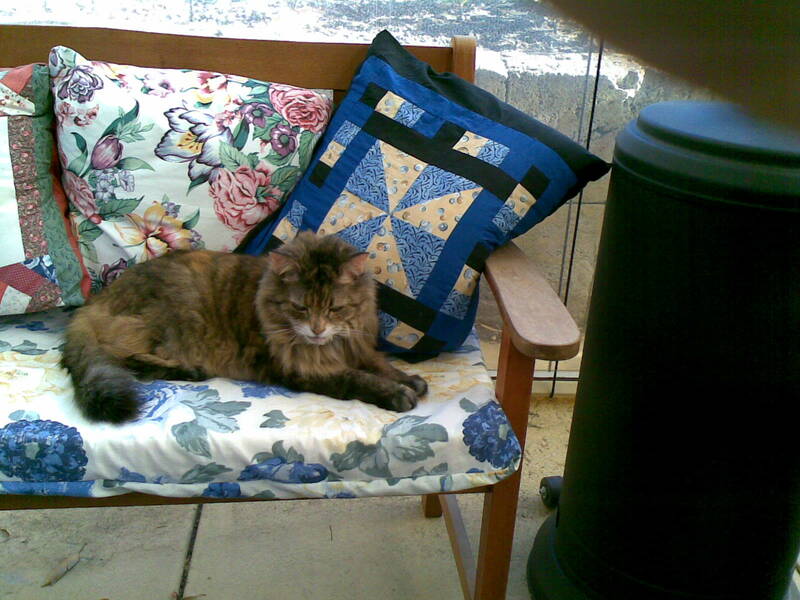 But she outlived them, and eventually started venturing outside, even if only to sit on the bench on a nice day. So this morning, around 11, the vet will come one last time. We will say our farewells, and Lady will be laid to rest. She won’t be in pain any longer. She’ll be missed, by all of us. The house just won’t be the same without a cat running it. Rest in Peace, beautiful old Lady. Ahh, how sad for you. I’m a cat person so I understand how you feel. Over the years I’ve lost several cats and it’s always painful, after all they are part of your family. It’s always hard to say farewell to a beloved pet. My condolences!